“Building” evokes images of stacking blocks into tall towers or rearranging Legos to create homes for small toys. At LEAP, we love introducing different materials to our building station. You’ll see many of the beloved classics – foam blocks, wooden blocks, tree cookies – but you’ll also see unique materials like spiky sensory toys or cotton batting. We aim to provide open-ended materials that encourage toddlers to play creatively. Our fort station also invites toddlers and their families to explore adding to or changing the environment. Building is loads of fun and it also provides numerous benefits for your little one. Check them out below! Next time you visit LEAP, swing by our building station. It’s a hidden gem that is often not crowded. 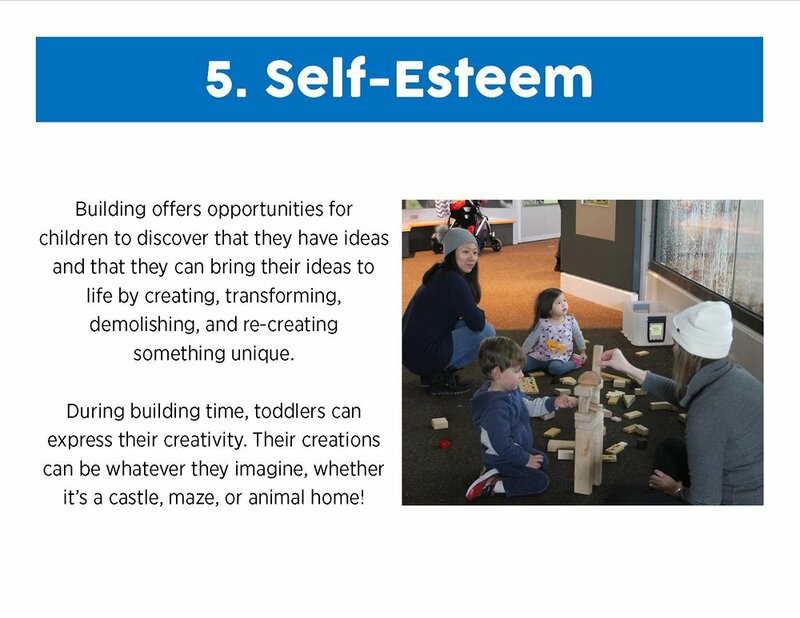 Building during play provides the "building blocks" for future learning. See if you can see some of the above mentioned benefits in action!